Aaaaahhhhhh adorable overload. Meet Isla Welch, the new Gerber baby. 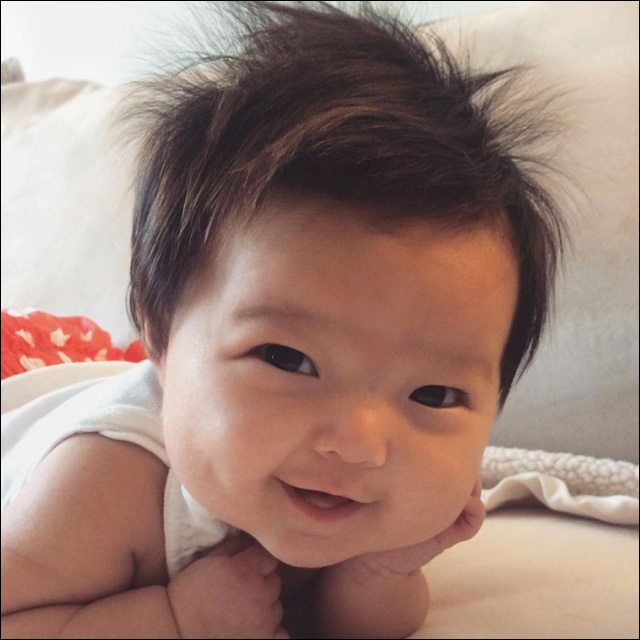 The 7-month-old cutie from Troy, Michigan is the winner of the 6th annual Gerber Baby Photo Search, announced by the brand this week. Isla beat out more than 170,000 other baby submissions in the 2015 contest to land the coveted title of Gerber's "Spokesbaby," with the opportunity to star in upcoming Gerber ads. Her family -- parents Grayson and Rachael, and big sister Nora -- also won a $50,000 cash prize and $1,500 in Gerber's Childrenswear. 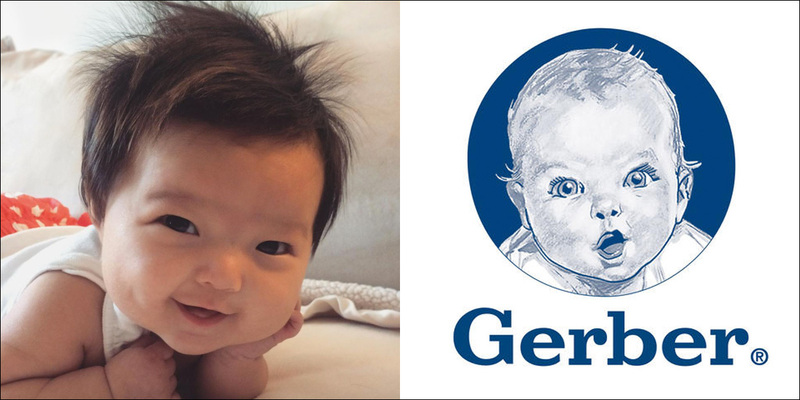 Isla's dad says he submitted her photo to Gerber on a whim. He was scrolling through photos of Isla on his phone and came across a particularly adorable shot, with her "crazy" hair sticking straight up. "I had been taking photos of the kids that day and snapped Isla in a perfect pose while she was horsing around on the living room couch," Welch told Yahoo. In the photo, Isla is leaning toward the camera, her hands folded underneath her smiling face. It was the winning shot. Bernadette Tortorella, a senior media marketing manager for Nestle Infant Nutrition, said that although the company considers every baby to be a Gerber baby, they look forward to choosing one infant to represent their brand each year. And let's face it -- Isla is just too frickin' cute. "While we received so many incredible entries, the judges all fell in love with Isla's cheeky smile and awesome hair," said Tortorella. Congratulations, Isla. We look forward to seeing your super-cute smile in the baby food aisle.